Learn what is Filipino ube, where to buy it and how to make it. 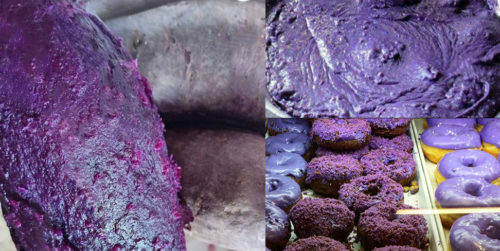 Discover a delicious ube recipe native to the Philippines featuring sweet purple yam plant ingredients (different from taro) and can be used in anything from donuts to ice cream. Ube is a naturally purple-colored tuberous root also known as the purple yam. It is pronounced “OOO-beh,” not “OOO-bae” nor “YOU-bae.” Native to the Philippines, ube is primarily an ingredient in desserts and pastries. Don’t confuse this with taro or the Okinawan sweet potato. Although both are also tuberous root vegetables, taro is more white in color and kind of resembles a small coconut. Okinawan sweet potatoes (a.k.a. bene-imo) are the only sweet potatoes of the bunch. They are slightly more like taro on the outside with a chalky white skin and look like purple yams on the inside due to its bright purple interior. Ube has been deeply rooted (yes, we went there) in traditional Filipino food culture. It’s commonly used in Filipino desserts like ube halaya (a purple sticky pudding), cakes, pastries, ice cream, and halo-halo. 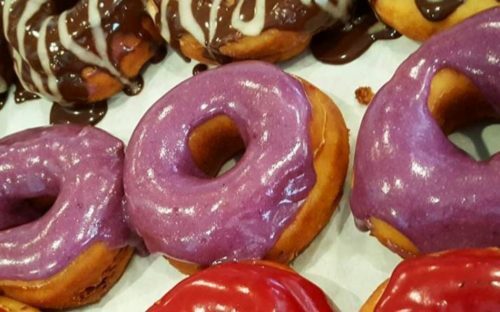 However, due to it’s visually appealing color and high “Instagramability,” it reached fever pitch in the mid-2010s becoming the “it” flavor of many trendy treats like: cronuts, macarons, rolled ice cream, shaved snow, bubble waffles, boba milk teas, and milkshakes and lattes. 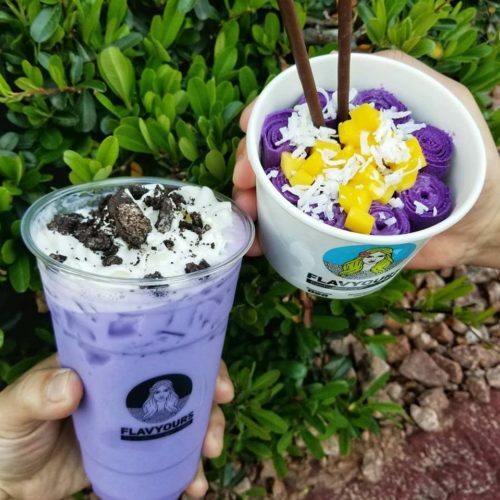 You can find traditional ube-based foods in most specialty Filipino dessert shops or Filipino restaurants that serve dessert. 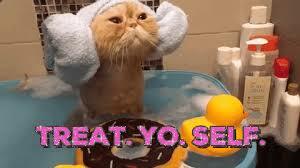 If you’re looking for something a little more trendy, here are some places to check out. 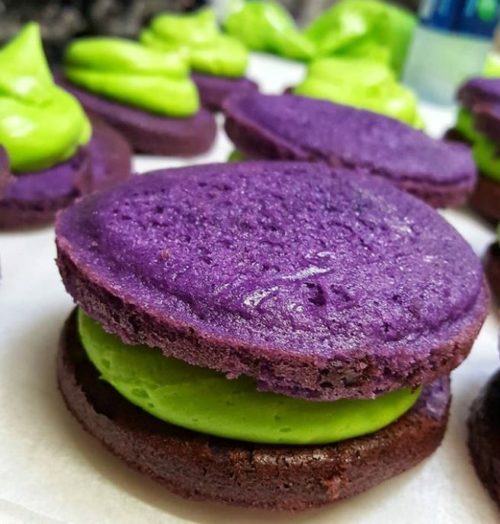 Looking for more places that serve ube? You can find them on Glutto right here. How can I make it? 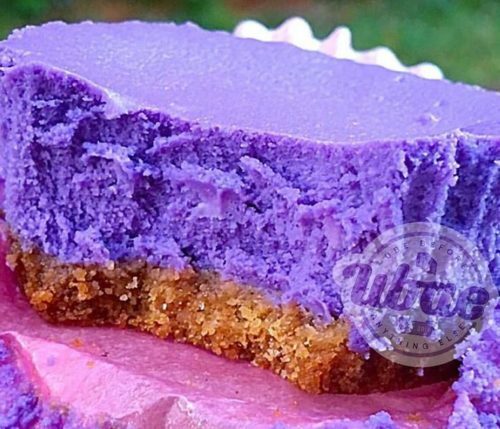 There are many different desserts and dishes you can make with ube. The absolute easiest way is to mix in some pre-made ube halaya into whatever you are making. But, if you want a more authentic recipe, here is how to make traditional ube halaya at home. First, boil the purple yams until soft. Then blend or mash thoroughly and evenly. Put the butter, sugar, condensed milk and evaporated milk together in a pot and heat until the butter is completely melted. Mix the ingredients completely. Add the mashed purple yams and mix everything together in a thick paste. Add drops of food coloring until desired color is reached. Put the mix into a container or mold and refrigerate at least 2 hours.